The problem with using laptops instead of conventional desktop computers is that you’ll be putting unnecessary strain on your neck and assuming a semi-crouched position while sitting. 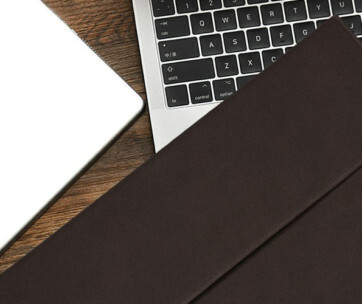 The Yohann MacBook Stand effectively addresses such issues while also providing an elegant cradle for your MacBook or MacBook Pro laptop to sit on. 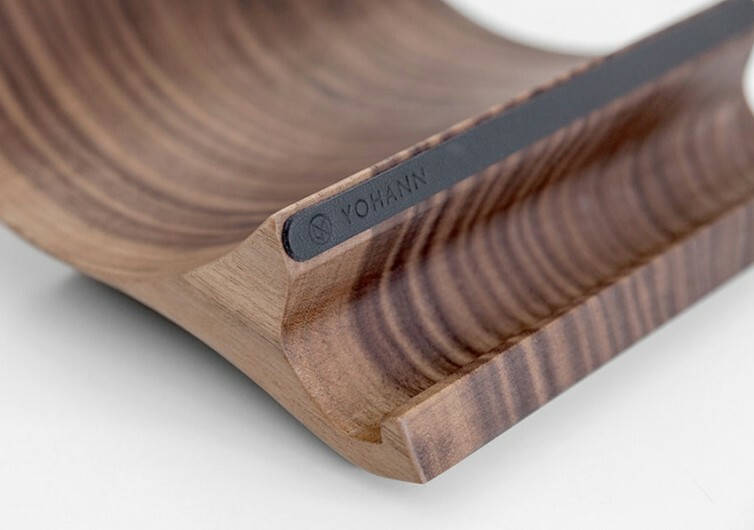 Defying gravity, the Yohann laptop stand looks unstable because of its unusual design. 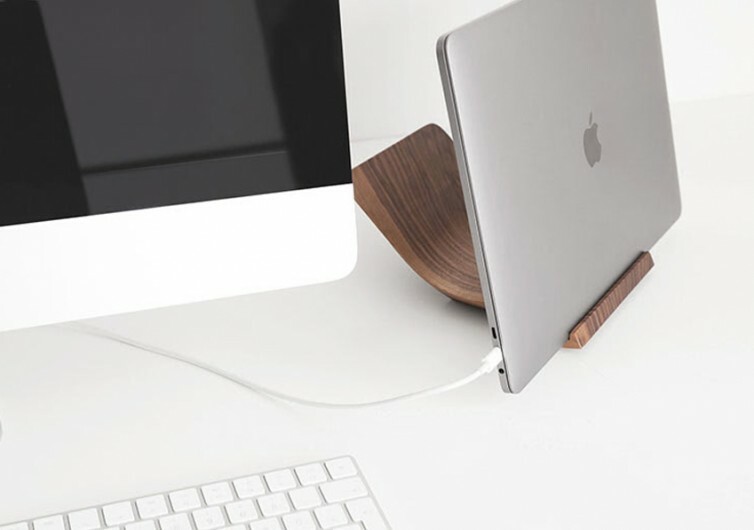 But you don’t have to worry as it is engineered to provide exceptional stability with the MacBook sitting conveniently on its oak or walnut wood platform. 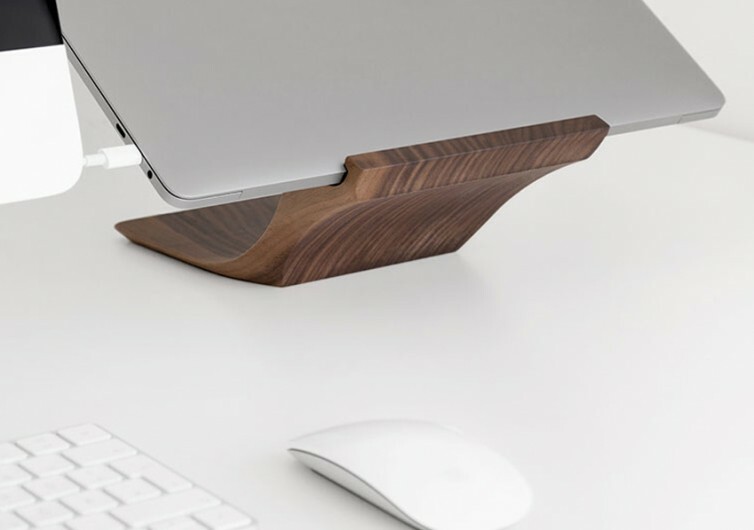 It’s more like a balancing act, with the weight of the MacBook countering the forward angle orientation of the Yohann Stand. 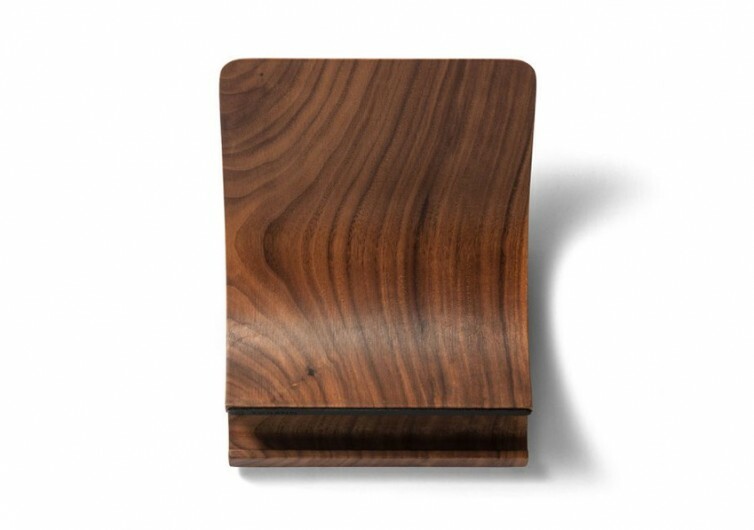 It is this balance that also gives the stand quite a remarkable charm that is made even more stunning by the use of walnut or oak wood as the substrate. 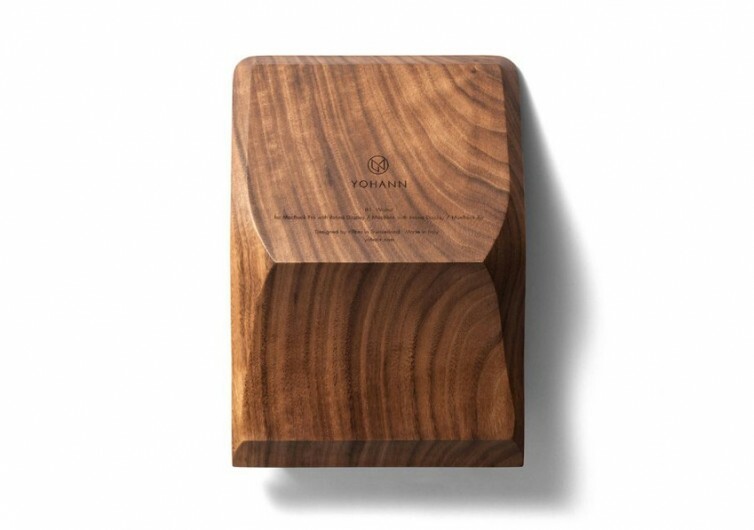 This makes for an elegant piece on any table or desk. There’s only one problem, though. Since the Yohann effectively raises the MacBook on an angled platform, you’ve got to use a keyboard and mouse like input devices for your raised laptop. 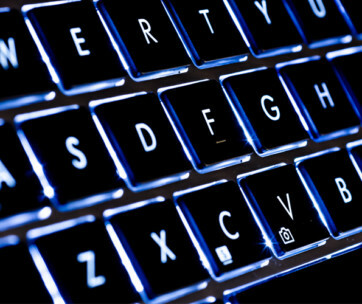 You will not be able to use the laptop’s built-in keyboard and mouse functionalities. 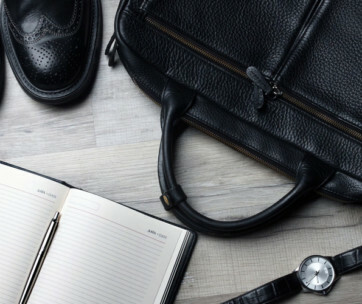 And for that, many believe that the Yohann is nothing more than a means to display the screen of your MacBook since you won’t be able to use its keyboard and mouse anyway. On that note, we’d like to think the Yohann Stand completely misses the point it initially set out to do. What people would want is to elevate the laptop while retaining the full functionality of the MacBook. This is not to say that the Yohann Stand is not a worthy buy. It is, but only if you don’t mind getting a wireless keyboard and wireless mouse to complete the system.